Eighteen years ago, on September 30, 1999, the Japanese nuclear industry had what was, until then, its most horrifying accident. The Tokaimura accident led to two deaths by radiation poisoning and sent shockwaves throughout nuclear industry both domestically and internationally. This article looks back on the Japanese nuclear industry’s record before 2011: at this accident and others, as well as at the history of scandalous oversight and management of the Japanese nuclear industry. This history illustrates how the Fukushima Dai-ichi catastrophe came after many events that should have provided enough “lessons learned” to teach the Japanese nation that this technology, with its high-risk/“low probability” dangers, cannot be managed by fallible humans and their flawed institutions. It is clearly too dangerous, especially for an island nation prone to severe natural disasters. The findings of... the Nuclear Safety Commission, ...demonstrate that the disaster was the direct product of the neglect of safety by the plant’s owners, JCO Pty Ltd, and the Japanese government. The three workers had been instructed to produce the enriched uranium oxide, which is required for a specialized nuclear fuel used in the experimental Joyo reactor. Over recent years, the company had slashed its staffing levels, due to falling profits. Two of the workers had never done the work before and they were not supervised by a manager or technician. To speed up work, the company had altered a safety manual to allow workers to mix uranium oxides in steel buckets, instead of properly designed mixing tanks. JCO had not been inspected by government regulators for 10 years, on the grounds that the work it undertook posed no threat of a nuclear accident. Untrained, unaware of the risks and under the pressure of a management deadline, the workers bypassed one stage in the enrichment process and, using the steel buckets, poured seven times the safe level of a uranium mixture directly into a precipitation tank. The mixture reached critical mass and passed into a sustained nuclear fission reaction that was not finally controlled for 22 hours. The STA confirmed on January 31 that 439 people had suffered potentially dangerous radiation exposures. They include 158 JCO workers and contractors at the plant, 84 emergency service workers and 207 local residents. Measuring the degree of exposure was complicated by the fact that numbers of workers were not wearing the mandatory film badges that absorb radiation—another reflection of the general lack of safety supervised by JCO management. It will be years, however, before the broader impact is revealed. A Health Care Study Committee has been established to monitor the long-term health implications on local residents, such as increased cancer rates. The accident has been followed by revelations of a culture of disregarding safety in Japan’s nuclear industry. Researchers have accused nuclear employers of exposing thousands of unskilled day laborers and contractors to dangerous levels of radiation over the past decades. Workers have allegedly been paid bribes not to report medical problems most likely caused by radiation exposure. Nuclear industry trade unions have stood by in silence. 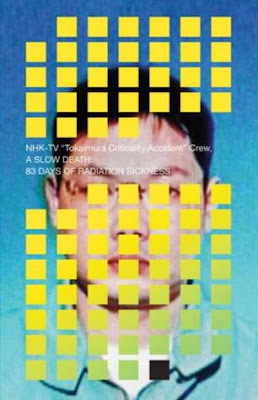 According to the STA, Hisashi Ouchi was exposed to 17 sieverts (Sv) of radiation, Masato Shinohara received 10 Sv, and Yutaka Yokokawa 3 Sv... A dose of 8 Sv (800 rem) is normally fatal. The two technicians who received the higher doses, Ouchi and Shinohara, died several months later. Ouchi suffered serious burns to most of his body, experienced severe damage to his internal organs, and had a near-zero white blood cell count. Shinohara received numerous skin grafts, which were successful, but he ultimately succumbed to infection due to the damage his immune system sustained in the incident. Ouchi died on December 21, 1999, while Shinohara died on April 27, 2000. A 35-year-old-man lies unconscious in a University of Tokyo Hospital intensive-care unit. He has been irradiated. Losing up to 20 liters of body fluids per day, the skin on half of his body is blackened, blistered, and falling off, his internal organs have failed, he is being kept alive by machines. He is one of three victims of a criticality accident at a uranium-processing plant in Tokaimura. Doctors, surgical teams, and nurses constantly monitor his condition. His family sleep in an anteroom. All wait for signs that he will pull through the massive blood transfusions, the viruses and molds that have invaded his body, the stem-cell transplants, the skin grafts, the comas, the heart attacks, and the marauding phagocytes. Reality check: From the moment neutron beams — the most powerful form of radioactive energy — passed through his body, he was a dead man. There are no uncertainties. The only release is death. So, why has he been kept alive for so long? ... Was this an attempt to save the life of a man or an opportunity to document the effects of radiation poisoning on human beings? If a major accident at a nuclear power plant occurred, what happened to Hiroshi Ouchi could happen to all of us. A Slow Death goes some way to explain that the response of hospitals and hospital staff is a means to assure the population that emergency services can cope with such a situation. ... Probably the most terrifying illustration in the book is the first. Forget the hemorrhaging, the disappearing mucus membranes, the black and swollen epidermis, this plate shows a mock-up of Ouchi and his colleague Masato Shinohara pouring uranium from a bucket into a funnel—they look like they are mixing a giant cake. The reviewer could have asked additional questions about the effort to forestall the victims’ deaths. One can suspect it was also a desperate attempt by Japanese officials to not admit the Japanese nuclear industry’s first recorded fatality from radiation exposure, or it was an attempt to delay that admission until the Tokaimura accident was off the front pages of domestic and international news. If it was an experiment in treating radiation victims, how could this not be a case barbaric and unethical crimes against uninformed and non-consenting victims? Why were there no criminal charges? Nicolas Daniak, M.D. at Yale University School of Medicine is quoted on the book jacket: “New knowledge was gained regarding optimal management of acute radiation toxicity.” Robert Peter Gale, M.D. from UCLA Medical Center, is quoted on the jacket also: “Harnessing the atom’s energy can help, even save, mankind or lead to its destruction. This is a sad, cautionary tale of things gone awry, a noble effort by Japanese physicians to save Mr. Ouchi’s life and of our limited ability to deal with the consequences of mistakes in this arena.” (Italics added in the two previous quotes). Dr. Gale has been like a fireman rushing to help at nuclear disasters ever since Chernobyl, but the quote above shows his undying support for nuclear energy, in spite of the damage he has witnessed. He has sided with the nuclear industry’s findings that minimal harm was caused by the Chernobyl catastrophe (a few thousand cancers), and not with the findings published in Chernobyl: Consequences of the Catastrophe for the People and the Environment (a million lives shortened, disastrous ecological consequences). Another factor in the care of these men exposed to massive radiation doses is the cultural attitude toward caring for the dying in Japan. Many people in Japan suffer agonizing and prolonged deaths because medical practitioners go to extreme lengths to avoid telling the patient’s family that there is no hope of recovery or an end of the suffering. Uncomfortable questions are left unspoken. The practice of writing a will with a “do not resuscitate” instruction has not been established. The question of when to pull the plug presents a difficult dilemma for doctors everywhere, but most countries have established norms and laws that allow doctors to stop medical interventions when they have clearly become senseless and too cruel. One year after the accident, the BBC summed up the aftermath. Reading this short report now, six years after Fukushima, it is tragicomic to see the statements by officials promising higher safety standards and acceptance of public input, but begging for understanding of Japan’s need for nuclear energy. The accident, in the town of Tokaimura north of Tokyo, had a devastating impact on confidence in Japan’s nuclear industry. The Japanese Government says it is trying to rebuild trust, but has been accused of failing even to look after the residents who lived close to the nuclear plant... Now though, the government says it is tightening inspections at nuclear plants and will be better prepared for any future accident. Japan’s cities already rely on nuclear energy for 30% of their power and eight more nuclear plants are being planned despite the high degree of public opposition. In other words, the accident at Tokaimura has had little impact on government policy. What remains to be seen is whether it will at least instill greater concern for nuclear safety. As fate would have it, the World Nuclear Association... had chosen that year  to bestow a prestigious award on Tokio Kanoh, a leading Japanese politician and former executive of the Tokyo Electric Power Company [TEPCO]… But Kanoh could not be there to receive it [in London] because five days before the meeting started, on August 29, 2002, Japan’s Nuclear Industrial Safety Agency (NISA), stunned the nation by announcing that for at least a decade TEPCO had been falsifying records of safety violations and cracks at its nuclear power plants. All seventeen of its boiling-water reactors were shut down for inspection and repair as a result. TEPCO’s president, Nobuya Minami, was later forced to resign, and the utility eventually admitted to two hundred occasions over more than two decades between 1977 and 2002, involving the submission of false technical data to authorities. Japanese nuclear inspectors have identified a new radioactive leak at a power plant that was badly damaged in this week’s earthquake, compounding concerns about the safety of the country’s nuclear reactors. The Nuclear and Industrial Safety Agency said radioactive iodine had leaked from an exhaust pipe at the Kashiwazaki-Kariwa plant in Niigata prefecture on Japan’s north-west coast following Monday’s magnitude 6.8 earthquake... The firm was heavily criticized for failing to quickly extinguish a fire that broke out in an electric transformer at the plant and for delays in reporting malfunctions to the authorities. Yesterday it emerged that the plant may have been built on top of the fault line that caused the earthquake. “The safety of the plant was fundamentally maintained and we avoided the serious consequences of a nuclear accident,” the commission’s chairman, Atsuyuki Suzuki, said in a statement. “The list of problems announced by Tepco has no serious effect on the safety of the reactor.” Yasuhisa Shiozaki, the government’s top spokesman, urged all of the country’s nuclear plants to speed up safety checks. “Since there was such a huge earthquake that surpassed our expectations, we need to consider future measures for quake resistance,” he said. The Kashiwazaki plant remains closed in 2017. All nuclear plants in Japan were shut down for review and safety upgrades after the Fukushima Dai-ichi catastrophe, and the Kashiwazaki plant even at that time still hadn’t been able to restart all of its reactors because of the improvements required after the 2007 earthquake (four of the seven reactors ran for a short time between 2009 and 2011). TEPCO has been very eager to restart the reactors and generate some much needed revenue from this stranded asset. The national regulator seems ready to greenlight it, but the prefectural governor is still not convinced. After ten years, perhaps the people of Niigata have learned to live without it. It is ironic that in 2007 TEPCO and government spokespeople warned of the plant’s vital importance to the electricity grid, but then after 2011 Japan learned to live without any nuclear energy for a few years. The sky didn’t fall. A few reactors have been restarted, but the lesson learned is that Japan easily adapted through increased energy conservation and efficiency and switching to other sources. Japan burned a little more natural gas, but the effect on global CO2 output was negligible, especially if one subtracts nuclear energy’s significant carbon footprint. The nuclear industry always liked to mislead the public into thinking that national fossil fuel consumption was used entirely for generating electricity. They conveniently chose to not mention that most fossil fuel is consumed for transportation and other uses not related to generating electricity. This is why the loss of nuclear’s contribution of 25% of electricity did not lead to a correspondingly large increase in fossil fuel imports. This grim history makes one thing perfectly clear: Fukushima Dai-ichi will not be the last chapter in the history of nuclear catastrophes. Perhaps the next one will occur somewhere else besides Japan because the gods of disaster like surprises. Expect it where you least expect it. Then again, Japan seems to have a certain destiny to suffer under nuclear fallout. Tokaimura was supposed to be the embarrassment that would make the nuclear industry clean up its act. Everything would be different from then on. Lessons had been learned. But it took three years for TEPCO’s falsified reports to surface, and TEPCO certainly did not voluntarily reveal them as part of their determination to change their ways. The IAEA and the WNA stood by them ready to laud their dismal record right at the time this massive scandal about a long history of falsification was about to be revealed. 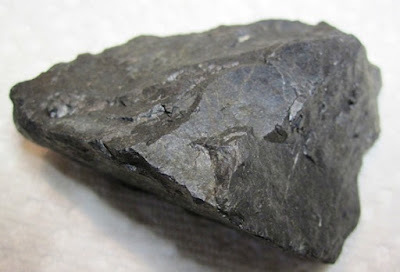 Then the Niigata earthquake revealed more hidden fault lines in the ground and hidden faults in the industry. Next, an earthquake and tsunami that were “beyond all expectation” destroyed the Fukushima Dai-ichi nuclear power plant. Japan faced the obvious question of whether it would abandon its nuclear program altogether but came to the conclusion that it must carry on as before: “Now we’ve learned our lessons, they say, “This time will be different.” Go ahead, Charlie Brown, kick that proverbial football. It takes a special kind of blindness, self-deception and foolishness to not see that the seeds of other catastrophes have been sown. Even without further meltdowns causing sudden, unplanned decommissioning projects, the tons of irradiated fuel rods, plutonium stockpiles and other assorted radioactive junk amount to a ruinous and tragic legacy for future generations to deal with. In Part 1 of these two posts about the Tokaimura criticality accident in 1999 (which should be read first to get the background for Part 2), I wrote that there were suspicions about the reasons for the prolonged treatment of the two terminally ill victims of the accident. Many people who watched the frequent news reports wondered if the treatment was carried out as an experiment or as a desperate attempt to delay the bad news that there had been fatalities from radiation poisoning in the Japanese nuclear complex. The NHK report provides no indication that such motives had anything to do with the treatment received by the two victims. Although one of the nurses interviewed said she had regrets and feelings of guilt, she was the only person in the book to raise the issue, and she did it in a rather indirect manner. The decision to undertake an all-out effort to save the patients, rather than give them palliative care, was made, as far as we can tell, by the leader of the medical team, Dr. Maekawa. A Slow Death centers on the story of only one of the patients, Mr. Ouchi. The reason is not explained, but we can assume it is because the family of Mr. Shinohara or the medical staff involved in his care declined to participate in the report. Dr. Maekawa was an emergency medicine specialist and a professor at the University of Tokyo Department of Medicine. He had only recently become involved with nuclear energy, but he had been appointed chairman of the Nuclear Safety Research Association’s Radiation Emergency Treatment Task Force. Radiation emergency medicine was not his specialty, but he had become involved in it at the insistence of a Nuclear Safety Commission member. He knew that previous victims of criticality accidents had died within a few days of exposure and could not be saved by any medical intervention, but he believed there was a chance that his patients could be saved with the latest drugs and treatments. If he had thought things through a little more carefully, he might have been able to admit to himself that even the best treatments available would not allow these men to ever leave the intensive care unit. The neutron beams had destroyed the chromosomes of cells throughout their bodies. If one or two vital functions could be restored, others could not. However, instead of deciding on palliative care, Dr. Maekawa decided that there was only one way to know for sure. He proceeded to do everything possible for the next eighty days until the truth became unavoidable even for him. From this much we can conclude that yes, he was conducting an experiment, and it is one which he decided to carry out on his own with no ethics committee or public prosecutor to answer to. There was not even a second medical opinion to take into account. He went completely unchallenged by colleagues and staff throughout the eighty-three days. Mr. Ouchi’s family placed complete trust in him. One striking element of the doctor’s thinking was that he resembled a military general stuck in the quagmire of an unwinnable war. By the time it was obvious that victory was not possible, he was too deep into the battle. He felt he had to go on. Otherwise, all the efforts until the present moment would have been wasted. Thus, instead of letting Mr. Ouchi pass away sometime in the middle of his ordeal, it lasted another forty days or so. It was the dilemma of sunk costs so similar to what is found in the nuclear industry itself. The Japanese nuclear establishment was desperate to carry on even after the Fukushima catastrophe had made it clear that Japan is one of the least suitable places to operate nuclear reactors. The nuclear establishment could not admit to itself that it was dealing with a terminal problem and inflicting unnecessary damage on the people it pretended to be saving with an energy policy that they believed was essential for Japan. The essential question of Mr. Ouchi’s story is how people involved determined what he really wanted. The phrase “he did his best” (gambatta, in Japanese) is repeated ad nauseum by the witnesses interviewed for the book, as was the phrase “He really wanted to live.” However, the skeptical reader must ask what lies behind such subjective interpretations. There is little evidence in the book that he expressed a desire to live and carry on with the treatments, but there is evidence that he wanted them to stop. One of the most curious things about this story is the way the witnesses forgot the patient’s explicit request stop treatment then made up a narrative that rationalized the way he was actually treated. In the final pages of the book, several of the people involved share their thoughts about the ordeal. The voices of key persons, such as Dr. Maekawa himself, are also conspicuously absent in this chapter. Mr. Ouchi’s wife questioned the nation’s nuclear policy: “This might be pessimistic, but as long as we continue to use nuclear energy, a similar accident will likely occur. After all, it is handled by human beings, and I cannot shake my mistrust.” (p. 134) It is tellingly sad that she felt she had to preface her statement with an apology for seeming pessimistic, then could not explicitly state her opposition to the nation’s nuclear energy policy. They persisted with the treatment while he uttered his protest and asked him to bear with it a little longer, but no one ever followed up on the wish he expressed. This was the time to ask him to elaborate on what he really wanted, and to have the serious talk with the family, but the medical team pushed on and ignored the episode. At this point in the story, an outside observer, especially a professional in the field of caring for the terminally ill, would want to scream out, “Where was the hospital’s ethics committee? Where was the external review, the counsellors, or even a second impartial medical opinion?” As for the patient’s family, they could have got more actively involved in questioning the doctor’s approach. The internet existed in 1999, although they might have had to understand English in order to read up on the outcomes of other criticality incidents. In spite of a couple of positive developments from the medical treatment, all hope proved to be false, and there were undoubtedly many experts in this field of nuclear medicine who would have known that this patient’s vital organs were like eggs that can’t be un-fried. There was massive chromosomal damage to cells throughout the body. Even if his blood could have been made healthy again, muscles, skin, liver, intestines and kidneys were all damaged beyond repair. Some of the damage was from the treatment itself, but primarily it was due to neutron bombardment. Dr. Maekawa’s reasoning had been that new medical treatments might lead to an outcome that wasn’t possible in previous criticality accidents. If the patient could be kept alive until his blood and immune system were restored, then other problems could be repaired on that foundation. The esteemed professor went unchallenged in this view for the entire eighty-three days, even by the foreign specialists who visited briefly around day 10 and day 29. These experts perhaps hesitate to criticize and speak frankly because they all belong to the same club. They empathize too strongly with a colleague in a horrible situation that they imagine they themselves could be in someday, so they defer and keep their thoughts to themselves. Nuclear engineers behaved the same way after Fukushima. They might have been privately angry at TEPCO and the Japanese government for doing so much damage to the nuclear industry’s reputation, but as long as they remained pro-nuclear, they closed ranks and expressed no criticism. It is perhaps only in those scenes in TV medical dramas where we can see two hot-headed, opionated doctors hollering and having it out in front of the nursing station. In real life, everyone keeps his head down even when they know a disaster is looming. If it seems odd that a forensic scientist would resort to such magical thinking, making this bizarre interpretation based on his idiosyncratic theory that the dead leave messages in their organs, we must remember that it served an important purpose in the sociological phenomenon that was taking place. This judgment by Dr. Misawa did much to absolve his colleague, Dr. Maekawa, of guilt, and it erased from collective memory the words of Mr. Ouchi on his ninth day of treatment that expressed his desire to be released. It’s unfortunate that the “NHK team” (no author is credited on the cover) let Dr. Misawa’s pathetic fantasy pass without harsh comment. And this is the greatest flaw in this otherwise valuable historical account of this tragedy. This book takes the traditional “objective” approach to reporting and makes only the most oblique criticism of Japan’s nuclear village and other possible targets, and in doing so it becomes a subjective endorsement of the status quo. It tells a horrifically sad and tragic tale, and asks the reader to reflect seriously on these events, but it pulls too many punches when the occasion calls for a knockout strike aimed at the nuclear village, the corporate malfeasance of JCO, and the serious breaches of medical practice and ethics. But what more could one expect from NHK, the staid and conservative national broadcaster? They are allowed to deal with sensitive topics, but they must handle them only in a sensitive manner. People are invited only to ponder and reflect on the “serious questions” raised by the events surrounding the Tokaimura accident. Some might say my assessment of Dr. Maekawa is unfair. He dedicated his life to his patient during those eighty-three days, sleeping at the hospital and taking part in many of the unpleasant tasks he could have left to nurses. He was well-intentioned, wasn’t he? Of course he was, but if good intentions were an excuse, all crimes could be excused. Intentions are completely irrelevant in a court of law or for an inquiry into professional misconduct. People are responsible only for the knowable and predictable consequences of their actions, and by this criterion we can say that Dr. Maekawa should have been forced to at least defend himself in an investigation as to whether his treatment amounted to two months of unjustifiable torture. Why this never happened is a question that was never asked, let alone answered. James Conachy, “Second nuclear worker dies in Japan,” World Socialist Web Site, May 4, 2000. Steve Finbow, “Review of ‘A Slow Death: 83 Days of Radiation Sickness,’” The Japan Times, January 11, 2009. “Dr. Robert Peter Gale at FCCJ, Part 2,” Foreign Correspondents Club of Japan, March 2011, 18:35~. A. Yablokov, V. Nesterenko and A. Nesterenko (editors), Chernobyl: Consequences of the Catastrophe for the People and the Environment (Annals of the New York Academy of Sciences 1181, 2009). “Tokaimura: One Year On,” BBC, September 30, 2000. Stephanie Cooke, In Mortal Hands: A Cautionary History of the Nuclear Age (Bloomsbury Publishing, 2009), 388. Justin McCurry, “New leak identified at damaged Japanese nuclear plant,” The Guardian, July 19, 2007. “Tepco contemplates 2019 restart for giant Kashiwazaki-Kariwa nuclear plant,” The Japan Times, April 22, 2017. Book and ebook of selected posts from previous blog. Click on the image to get a free copy. My personal blog where I write about politics, history, disarmament, environment, energy, education, literature, cinema, whatever..